Do you remember Minority Report? It was what they called a neo-noir film out in 2002. Tom Cruise starred as the head of the PreCrime division that sought to prevent crimes before they were committed. An interesting concept that was, of course, destined (see what I did there?) to go wrong. 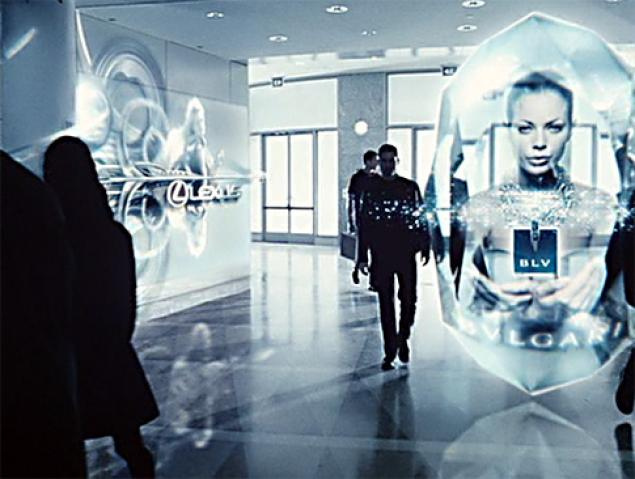 What I remember most about Minority Report was how the billboards would change based on the individual or individuals passing through. Just the concept was a bit thrilling, evocative, and yes, a bit terrifying: to imagine a situation whereby thousands if not millions of cameras analyzed those walking down a busy sidewalk or through an airport or through a shopping area and make changes based on the known data of that person. As I’ve reflected on artificial intelligence and where it seems to be going in reality, well, it’s also thrilling, evocative, and yes, a bit terrifying. Some people think AI is a thing of the future when it is very much a thing of the present. Do you use Cortana or Siri? Do you talk to Alexa? AI. Do you wonder how financial agencies check to determine if that purchase was really yours? AI. Autopilot on your next flight? AI. Those Amazon and Netflix recommendations? AI. Artificial intelligence (AI) makes it possible for machines to learn from experience, adjust to new inputs and perform human-like tasks. Most AI examples that you hear about today – from chess-playing computers to self-driving cars – rely heavily on deep learning and natural language processing. Using these technologies, computers can be trained to accomplish specific tasks by processing large amounts of data and recognizing patterns in the data. (https://www.sas.com/en_us/insights/analytics/what-is-artificial-intelligence.html). That’s probably not much clearer and I could try to go into a discussion of what deep learning is along with the role of neural networks, and more, but that’s not really necessary. Computers aren’t human beings so they aren’t distracted by anything. A computer designed to run a program to find patterns in this thing will do only that: find patterns in that thing. And it will do so very fast, 24 hours a day, 365 days a year. Computers can be programmed to analyze data on multiple levels and do so, again, very fast. No sick days. No migraines. No tummyaches. No vacation time. When Siri or Alexa or Cortana come back with something that makes no sense, it’s because those programs have not gathered enough data to find a pattern so the response may make no sense because the program has to default to whatever it can determine, based on the data it has. If you were to ask similar kinds of questions over time, the AI algorithms behind each of those programs would gather more data to be able to respond more conclusively and more accurately. Which is why some of those recommendations on Amazon and Netflix can be so amusing. So let’s talk about artificial intelligence in education and try not to be too smug about that word “artificial” or too snarky about that word “intelligence.” Hundreds if not thousands of teachers have adopted various adaptive learning systems without really knowing how they work, of if they work. So, how do they work? Let me oversimplify. Student sits down at computer and takes a diagnostic assessment. That establishes the baseline of what the students knows, or how the student has chosen to answer the questions or guess at the answers of the questions. The algorithms don’t know what’s behind the student’s thinking or reasoning; the algorithms know only what answers were given in that situation. Those are baseline data points for that student. Let the adaptation begin. If a student seems to be taking too much time on a particular problem or question or is asking for a lot of hints, the algorithms figure out that the student is struggling and push out content at a lower level. Or, depending on the system, could direct the student to a tutorial or could notify the teacher the student needs some remediation or support, or all of the above. The possibilities are limited only by the features of the program which is limited only by the programmers. Keep in mind that human beings are behind the structure and focus of the algorithms. The programs don’t design themselves. Yet. As a student works through the system, the algorithms continue to gather data and adjusts the content based on the data it gathers. Students who guess well or legitimately answer well will get increasingly complex and difficult content. Students who struggle will find themselves with content that is supposed to help them learn what they don’t know or understand. AI cannot and does not (yet) sense frustration or cheating or anything else that humans might feel, experience, or contribute to the process of learning. AI does not know when a teacher or a tutor is sitting with a student to coach the student to an answer, though the algorithms will record the amount of time taken whether the answer is right or wrong. 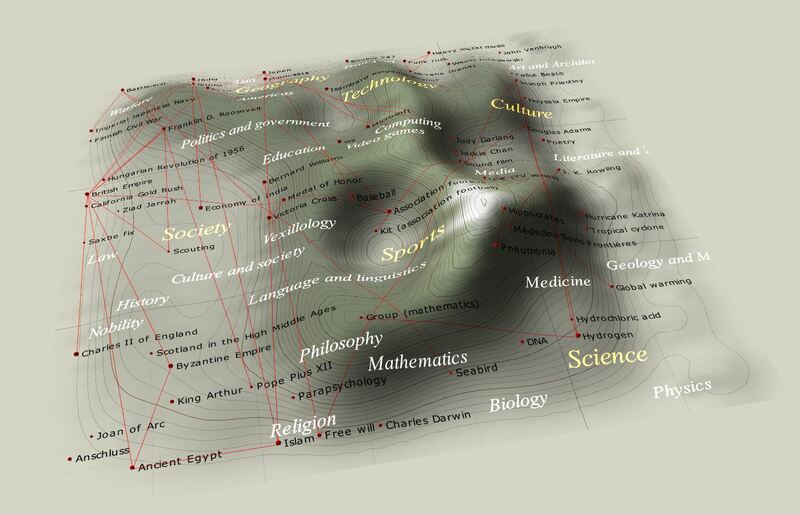 The algorithms simply gather the data, analyze the patterns, determine what seems most appropriate for the next level, and pushes out that content. And depending on how the coders have determined the importance of time taken to get to the right answer, the content may or may not be truly appropriate to the student. Artificial intelligence is a tool; it’s a learning resource. “AI offers an opportunity to tap into the adaptive learning processes already being featured in assessment software, learning games and digital textbooks to individualize learning. Tools that can highlight and emphasize key areas where students are suffering allow teachers to focus on facilitating the learning process and offer the one-on-one support that students at all levels need" (How AI Impacts Education). The key part of that quote is that AI can “allow teachers to focus on facilitating the learning process and offer the one-on-one support that students at all levels need." In far too many classrooms I’ve seen elementary teachers have their students sign on to the adaptive learning program of choice and tell them they need to have at least some number of minutes on the program. What most 2nd and 3rd graders hear is that the learning equals the number of minutes they’ve spent tapping on a screen. When I sit with them as they go through one of those programs and ask them what they’re learning, I inevitably get a shrug. When I ask them to stop and explain what they just learned about vowels or math or whatever, I’ll get a blank look. And that happens nearly every time I ask. I’m not saying AI is a bad thing. In fact, I think some kids are learning something, but my fear is that they have no idea what they’re learning or why it matters. But I’m also convinced that most students aren’t learning anything except how to manipulate a system or that computers are frustrating or that they’re stupid because they can’t get past a certain level; in other words, little of educational value and little that's positive. Anyone who really knows me knows I love technology. They also know I preach balance and doing what makes sense. Sometimes technology is what makes sense; sometimes no tech or low tech makes more sense. But adaptive programs without any kind of teacher support never makes sense. The teachers who look at the data reported by an adaptive program without really understanding what the student has done, or not done, does the student a disservice and cannot possibly use that reported data with any element of meaningful efficiency or accuracy. So what is the answer? Well, let me say this first: it's important to note that adaptive learning has a much wider audience that K-12. Some in higher education have adopted adaptive learning while others are investigating its efficacy. Corporations and organizations are most definitely interested in adaptive learning for a wide range of possibilities for employee training and development. Consider adaptive learning and AI embedded in the fabric of education and training even if we're not yet ready for it. What is the answer? I'll still hedge by saying there is no easy answer because our educational system remains complex and clogged, in my opinion, by standardized tests that are often the very antithesis of adaptive learning. Adaptive learning, through AI, pushes us to think more specifically about the student, which means that personalized learning becomes a greater possibility if not necessity. And please note it is adaptive learning and not adaptive teaching. This means the role of the teacher continues to change and likely changes daily depending on the learning objectives and depending on the students. On Monday she might be able to do some whole class instruction with some stations or online work for students to secure some fundamental background knowledge. On Tuesday he might work with a few students who need some coaching and some other students who have asked some great questions that are already pushing some boundaries while the others are working through some guided and choice resources. The learning objectives are clear and students have learned or are learning how to ensure they can achieve those objectives. On Wednesday some students might start working on a hands-on project they've proposed while others ask to revisit some online or print resources, or maybe go to the library (physical or otherwise) to do some research or ask if they can reach out to some online experts or others through Skype or Hangout. My point is that while we are encouraging teachers to use adaptive systems to help students master certain elements of learning, we are not yet in a place in which teachers can truly adapt their learning environments. Teachers have set classroom periods so have to work within the constraints of 35- or 40-minute blocks. Even if they teach in elementary school, teachers often do not have the luxury of allowing students to work as they need: some districts still require a math block and an ELA block. So we have a lot of work yet to do. In the mean time, however, teachers need to pay more attention to what their students are doing when they use the adaptive learning systems in their classrooms and they need to know how to use the data reported by those systems. Ideally they'd spend some time talking with students about that data and help students understand what it means, and have a conversation with students so the students can figure out how they might proceed and where they might need to improve. We're a long way from that reality. What we can start doing right now is use instructional coaches to help teachers figure out how to assess the data they have and how to have those conversations with students. The more teachers and coaches can do to help students understand what they're learning and why they're learning it, the greater the likelihood students will perceive the value of their learning differently. 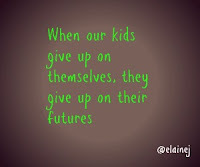 In my perfect little world, when students begin to value learning, they will want to learn more and that means they will see their futures differently and their dreams will become bigger and more dynamic and powerful and they will begin to wonder why they can't do something rather than complaining that something is too hard and giving up on themselves. 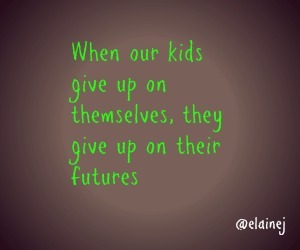 When our kids give up on themselves, they give up on their futures. Adaptive learning could be a pathway to helping ensure our strongest students and our struggling students can do more and be more, and imagine more. Forbes. (2018). The Impact of Artificial Intelligence in the Everyday Lives of Consumers. Forbes. (2017). Artificial Intelligence in Education: Don't Ignore It, Harness It! Do you have the right data to make adaptive learning work?